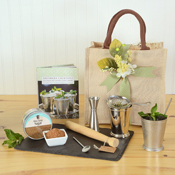 There is only one way to serve a classic Mint Julep, and that is in a traditional julep cup! At 4" tall, our sturdy nickel-plated version holds 12 oz. of this potent libation, and get frosty quickly! 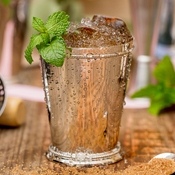 Whether you enjoy your julep trackside or poolside, these beautiful cups are an elegant and necessary addition to your home bar, and are an ideal gift for weddings or housewarmings.